As it is the week of celebrating dad’s, I wanted to take a few moments to introduce you all to mine. My father, John, is one of my biggest supporters and advocates, for which I thank him. As such, he begrudgingly shows up to my pilates studio once a week for his class. He started Pilates after suffering an injury four years ago, and I have been stuck with this bugger ever since. He whines and complains the whole time (no exaggeration here), but I will admit that it is a lot of fun having him in the studio. Although he only attends class once a week, his practice really does set the tone for his body. As a businessman, he often spends a lot of time (i.e. too much of his day) seated. By adding pilates into his routine, his body has been able to maintain its strength and flexibility. 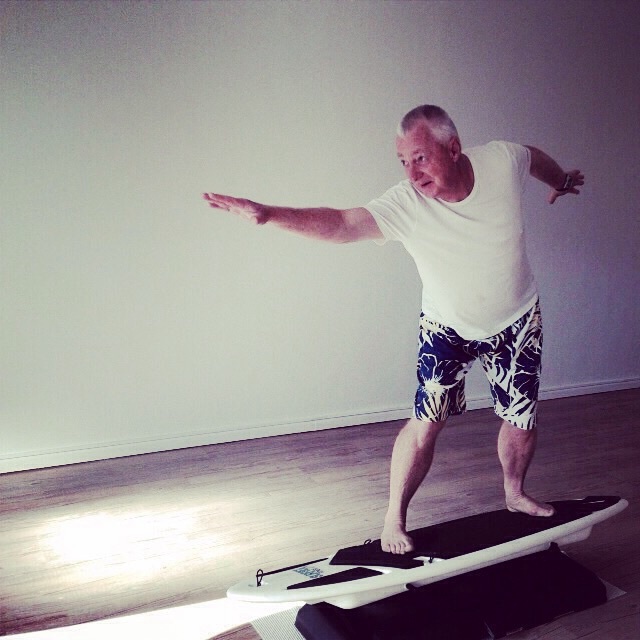 His favourite piece of equipment is the surfset, he must have missed his calling as a surfer. He still wears his speedos, but thankfully not to class. Today, I thought it be nice to share some dad-friendly recipes that are easy to make (and sure to please). I especially like the beer-friendly potato boats and the healthy fruit smoothie summer bowl. Something tells me I already know which one mine will go for. How will you be honouring your dad this week?